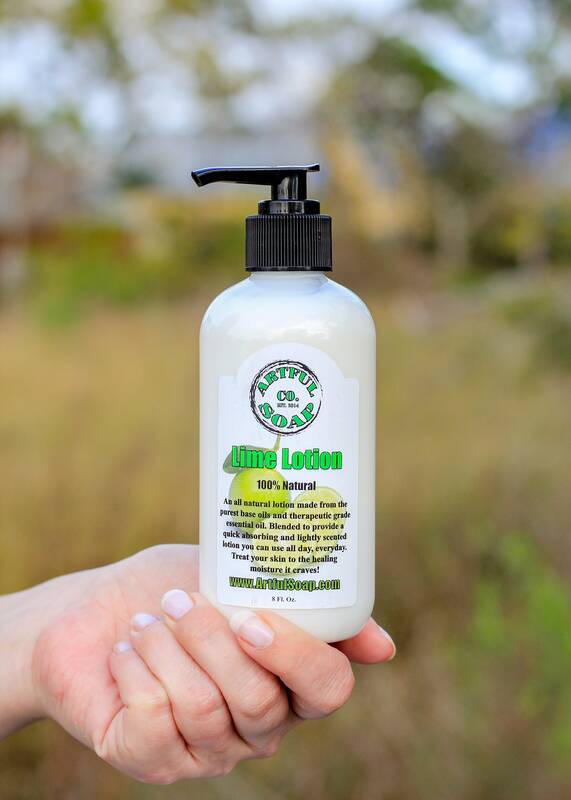 Lime Lotion, 100% Natural, Natural Lotion, Lotion, Lime, Moisturizing, Fast Absorbing, Moisturizer, Natural. 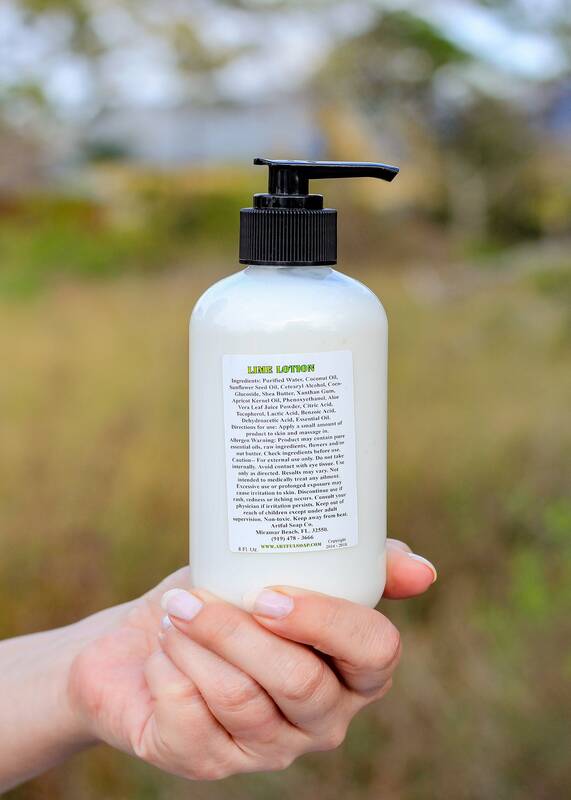 An all natural lotion made from the purest base oils and therapeutic grade essential oil. Blended to provide a quick absorbing and lightly scented lotion you can use all day, everyday. Treat your skin to the healing moisture it craves! The antibiotic properties of lime juice inhibit the growth of acne causing bacteria. With the progression of age and the exposure to UV rays, melanin [which imparts color to your skin] can build up and get accumulated in your skin, giving rise to dark spots and other signs of aging. Scrubbing your skin with lime peel or applying a product containing bits of lime peel can significantly reduce this hyper-pigmentation. Astringents are effective in causing temporary tightening of muscles. That is the reason why they are often used in beauty and skincare products for improving the appearance of your facial skin. Lime oil possesses astringent properties and can be used to tighten pores and temporarily reduce oil production to provide a brighter and flawless complexion. The citric acid present in lime peels can slough off dead skin cells. Lime helps rejuvenate your skin and protects it from infections with the antioxidants, disinfectant and antibiotic properties. The presence of a large amount of Vitamin C in lime helps reduce body odor and sweat. When applied externally on your skin, it helps treat bruises and rashes.